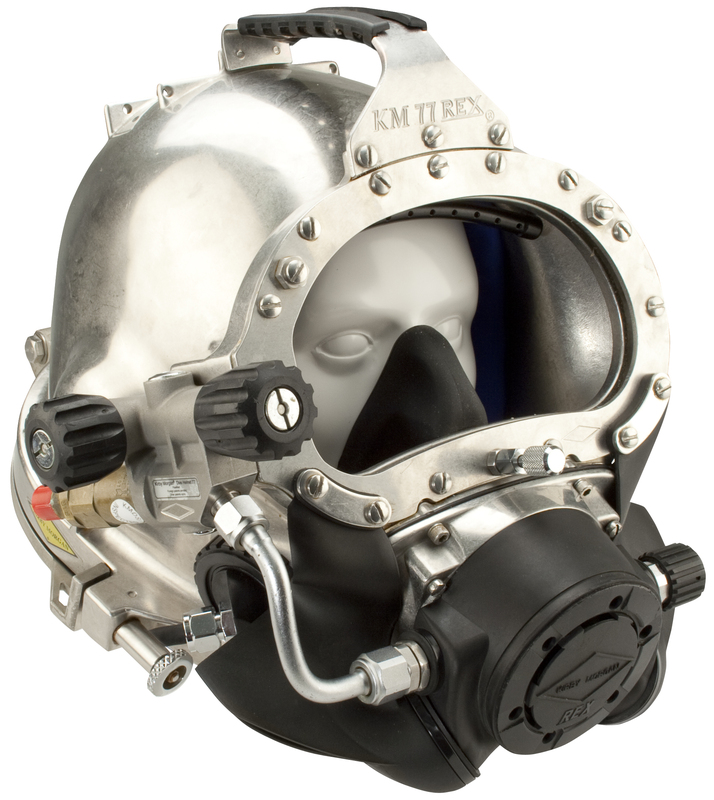 The new stainless steel Kirby Morgan® 77 helmet is durable and easy to maintain. For the diver who wants an all metal helmet, the new stainless steel Kirby Morgan 77 helmet is the way to go. It features an all stainless version of our Rex® regulator as well as a stainless side block, helmet ring, bent tube, handles and other key components. The Rex® Quad Valve® exhaust system comes as standard on this helmet. 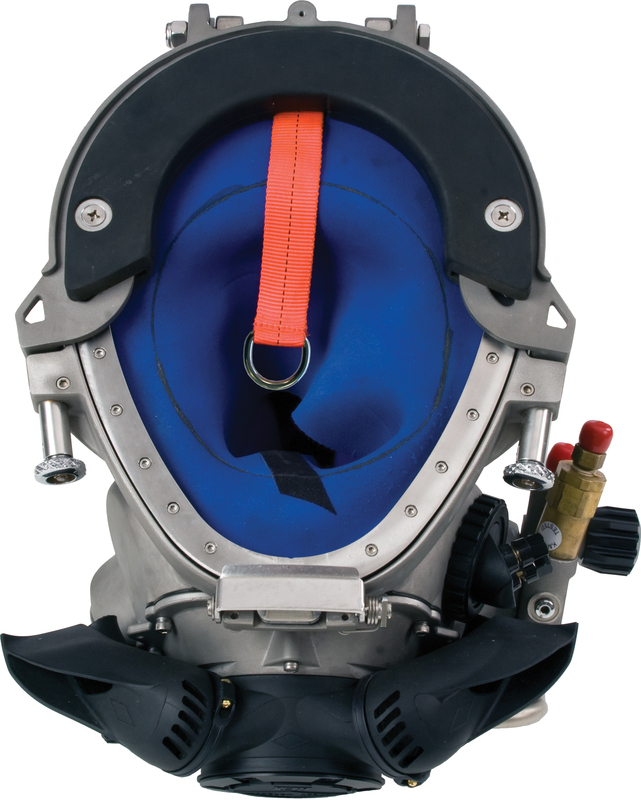 The advanced regulator pod on the Kirby Morgan® 77 helmet will soon allow it to be outfitted with other Kirby Morgan® regulators, including the SuperFlow® 350 or the all stainless steel SuperFlow® 450. 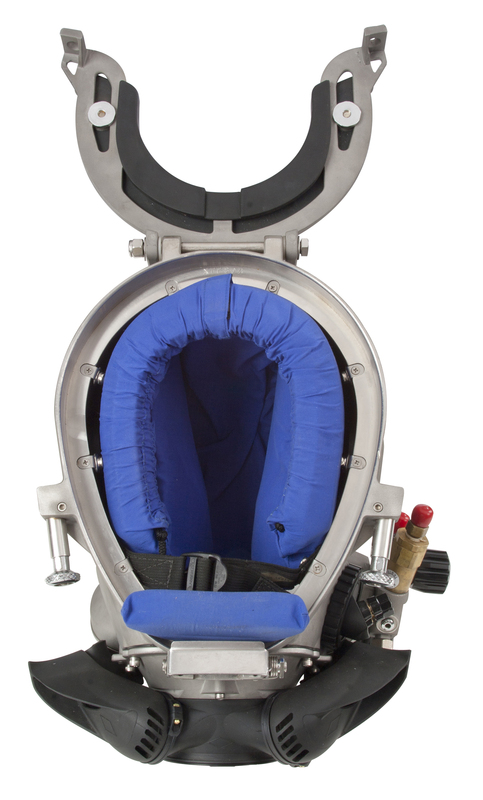 Increasing versatility, the pod will make it possible to customize the helmet with the regulator you want as job requirements change.